Protects all skin types throughout the day. 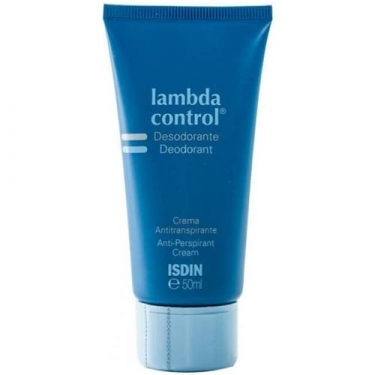 DESCRIPTION: Lambda Control Deodorant Cream from Isdin is a cream deodorant with effective protection throughout the day. This product reduces excessive perspiration. Suitable for sensitive skin. Does not contain alcohol. Apply a thin layer after daily hygiene.